West Virginia Writers, Inc. Blog: Brittney Cassity book signing schedule for "Clyde the Undead Dustbunny"
Brittney Cassity book signing schedule for "Clyde the Undead Dustbunny"
Monroe County writer Brittney Cassity has now released her second children's book Clyde the Undead Dust Bunny. Clyde... is a 60 page chapter book for ages 8-12. The book is currently only available on her website ( www.brittneycassity.com ) and a few local retail stores. Brittney has partnered with the Pajama Program (www.pajamaprogram.org) helping support them with a donation button at her website allowing readers to donate to help them continue to provide good books and warm pj's to children in need. 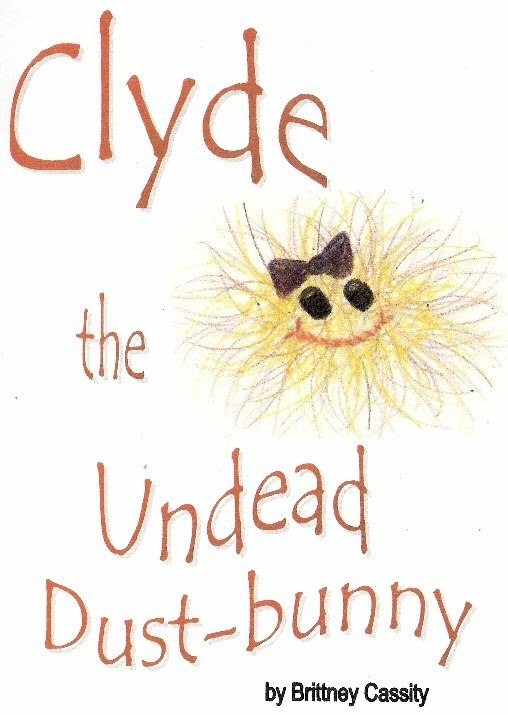 Brittney has also partnered with Eco-Libris (www.ecolibris.net) a group that will plant a tree for each copy of Clyde the Undead Dust Bunny sold in order to replace trees used in the production of physical books. Brittney will be signing copies of Clyde the Undead Dust Bunny at the Lewisburg Craft Show at Greenbrier Valley Mall in Lewisburg, WV on November 12, 13, and 14. She will also be at Kitten's Korner in White Sulpher Springs, WV for a book signing (where she will also have copies of her first book Fiddlebug) on November 17, 2010 from 3:00 - 6:00 p.m.
November's schedule (so far) ends with a book signing at Silver Birch in Union, WV on November 20th at noon.